The “Universal Tao”, also called Healing Tao, is a Chinese system of self-healing and meditation. It is based on the principles of Inner Qigong and is directly derived from the famous tradition of the Inner Alchemy of Taoism. The basic goals are health and longevity, vitality and spiritual growth. The founder of the system is Master Mantak Chia. 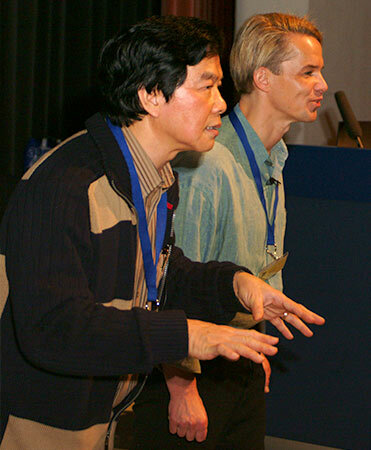 For more than 25 years Carsten Dohnke has studied intensively with Mantak Chia and has assisted him in many international seminars. At its core, the practices of Universal Tao are based on the practitioners’ ability to move, multiply and refine the Qi of their internal organs and meridians with the help of their mind. Healing Tao comes directly from the tradition of Taoism. Like Taoism, it comprises healing arts, Qigong, Taiji, ancient Taoist methods for cultivating sexual energy, Shaolin practices such as “Iron Shirt Qigong” for strengthening bones and improving body structure, “Chi Nei Tsang” (Chinese belly massage) and the Taoist practices of Inner Alchemy, g a complex meditation system that has evolved over many centuries. Master Mantak Chia is the founder of the Universal Tao. He was taught meditation and energy exercises from an early age. Various masters instructed him in Aikido, Yoga, Taiji, Kungfu, old Shaolin practices as well as how to handle one’s inner power and life force. 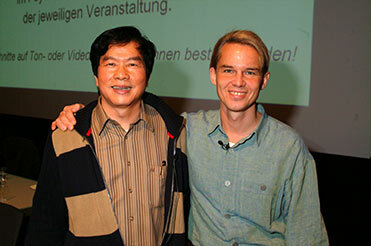 He is the founder of the Healing Tao (Universal Tao). He was the first to make the wisdom and inner practices of Taoism accessible to the West. After twenty years in America, Mantak Chia moved back to Thailand in 1994 and has created a unique seminar center and health resort there, the Tao Garden. Mantak Chia is the author of several books in which he describes the system of the Healing Tao in an easily understandable way. His teaching is known worldwide and finds more and more followers. The central element of all practices of the Healing Tao is concentrating our life force in the abdominal cavity and thus the development of an inner center of calm. This allows us to develop presence and inner strength in everyday life, as well as the transformation of negative emotions such as anger, fear and sadness into positive life force. This happens especially through the strengthening and cleansing of the internal organs which, according to the teachings of traditional Chinese medicine, are directly connected with our emotions. The basic practices for transforming emotions are the “Six Healing Sounds” and the “Inner Smile”. More details can also be found in the article “The Healing TAO”. Love and sexuality are the most important human energies: they are the basis for creativity and spirituality and also the most elementary forces in the cells of our organism. In this course you will learn to increase and preserve your sexual energy and to merge it with the love of your heart. You can then channel this combined energy through the spine up into the brain, glands and internal organs to transform it into healing power, creativity or spiritual energy. The practices of Healing Love not only bring about an enormous increase in life force and a deep sense of fulfillment. There will be a deep harmonization in your entire energy balance which affects physical, emotional and spiritual levels. In addition, physical complaints related to the sexual organs (prostate, menstruation, menopause) can be alleviated or even cured. 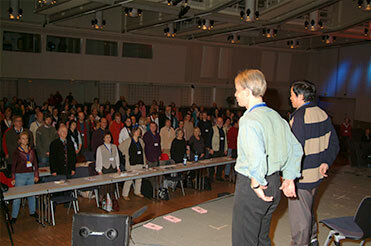 In our seminars the practices of healing love are practiced as a form of inner Qigong or meditation solely. By combining them with specific body and breathing exercises, they achieve their profound effectiveness. In addition, you will be given many practical tips as to how these practices can be implemented at home with your partner. Important findings of traditional Chinese medicine on the subject of sexuality (acupuncture points, nutritional advice, etc.) round off the seminar. The basic course of the Healing Tao is aimed at all people who wish to strengthen their life force, heal themselves and train their own mind. With the help of the practices mentioned above, you will learn to improve the patterns of your cells and transform negative emotions such as anger, fear, depression into positive life force. Your vitality, immune system, the performance of your brain and an inner harmony will be strengthened. The basis of the system of the Healing Tao is the “Microcosmic Orbit”: By channeling the healing power “Qi” along important acupuncture meridians, you gain access to your life force and you can increase it, too. It won’t take extensive practice before you feel more centered, balanced and powerful. All exercises are easy to learn and appeal to different age groups! Please click on one of the sections to enlarge. The central meditation of the Healing Tao is the ” Microcosmic Orbit “. This traditional meditation is said to have the most profound healing effects: Using one’s imagination, the life force “Qi” is moved up the spine and down the front of the body again. This internal circulation strengthens and harmonizes all glands and organs. In addition, the whole body is supplied with new life energy: one feels fresher, stronger and healthier than before. In the practice of “Healing Love” based on this, the practitioner then learns to let the sexual energy flow through the ” Microcosmic Orbit ” and thus use it as an inner source for healing. According to the ancient Taoists, sexual energy is the most important basis for creativity, vitality and spiritual growth. The “Fusion of the Elements” is one of the important practices of Inner Alchemy. It is called the “jewel” of Taoist meditation because of its great effectiveness in transforming negative emotions. The exercises promote inner strength and self-determination. We won’t easily be knocked over – serenity and centering are easier to achieve. It is a powerful mental training that increases our ability to remember and concentrate. Fusion also serves the purpose of energetic self-protection and is of great benefit especially for those of us who work a lot with other people. The main focus of Fusion I is the transformation of negative emotions as well as the balancing and harmonization of organ energies. 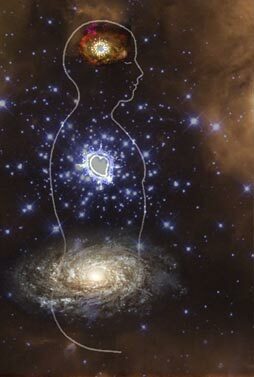 The purified energy of all organs is condensed into a Qi pearl in the Tan Tien, in our abdomen. In Fusion II, the positive organ energies merge into an inner state of compassion. Further aspects are the union of heart and sexual energy as well as the opening and purification of the inner energy channels. In the meditations of Fusion III, the inner cleansing process of the body is completed: The refined energy is moved through the “bridge and regulator channel” – this leads to a deep inner balance of the Yin and Yang forces in the body. The “Spinal Energy Cycle” also cleanses and strengthens the entire spine. The meditation of “Kan & Li” belongs to the higher practices of Inner Alchemy. It not only promotes mental and spiritual growth to a high degree, but also slows down the aging process. Opposing energies are merged through the practice of “Kan & Li”. Using imagination the water and fire forces of the body are activated – that is the refined, creative sexual power of the kidneys and sexual organs and the love in the heart. These two energies are fused in the lower abdomen to create a harmonious and high frequency energy in the form of a subtle haze, the “inner steam”. The emergence and development of “steam” leads to deep states of inner silence. At the same time, the individual glands and organs are nourished and strengthened by the steam as if from an “inner nectar”. The practice of “Kan & Li” in the Healing Tao is the basis for the development of higher forms of consciousness. The ancient alchemists called it the inner wedding of soul and spirit or the union of heaven and earth. By means of simple and effective animal movements and the ancient Taoist “Tiger and Dragon” breathing, life energy is stored in the various areas of the lower abdomen – thus not only the internal organs but also the sacrum and pelvic floor area are strengthened. The practice of Tao-Yin – the Chinese therapeutic back training – consists of relaxing breathing and stretching exercises, which are mainly performed on the floor rather than standing up. The focus of all Tao-Yin exercises is on strengthening and simultaneously relaxing the lower back, lumbar vertebrae and especially the important psoas muscle. The combination of Tan-Tien Qigong and Tao-Yin develops a belt of inner strength. This force reaches from the navel to the lumbar vertebrae. Both practices support the inner understanding of meditation, Taiji and other Chinese martial arts.